The golden light of the late afternoon shown on the Sunset Slabs at Mt. Erie, changing them from dark gray to red. My five-year-old daughter stood near the edge of the cliff, a rope threaded through her ATC and a belay line attached to her harness. 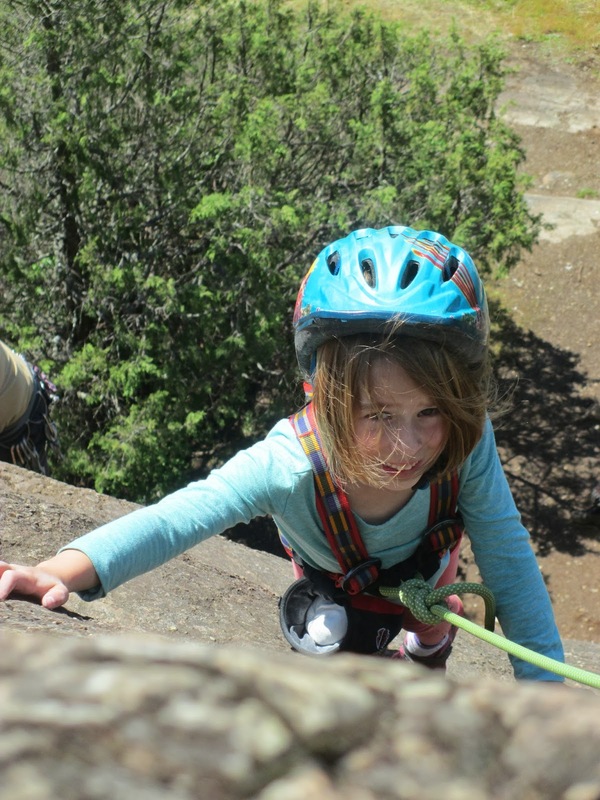 It was to be her first rappel. And as my daughter made her first rappel ever, a smiling Ronald McDonald statue stared up at us from the driveway of the house far below. Holly climbing at Sunset Slabs. The fact that a house on the drive below the Sunset Slabs has a Ronald McDonald statue is a quirky element of the area, but it doesn’t define it. No, the Sunset Slabs are defined by something else, and it’s not the grand views of the lakes below or the San Juans in the distance. Instead, the area is defined by memories and experiences. Generations of climbers touched rock for the first time at the Sunset Slabs. Guide services, climbing clubs, friends and families have all used this gentle climbing area as a place to introduce the sport to beginners. Those who had their first climbing experiences at the Slabs will never forget them. And as such, the ghosts of those experiences populate the place; both the reminiscences of those terrified first moves of a route, as well as the memories of the triumphant finishes. At the end of her rappel, my daughter’s feet touched the ground. “Off rappel!” she called. “Good job,” I yelled back down, glowing with pride. I knew that now we were part of the experiences that defined the crag. My daughter and I each had a moment there that we would not forget. Weekend Warrior: Videos to get you STOKED!! !